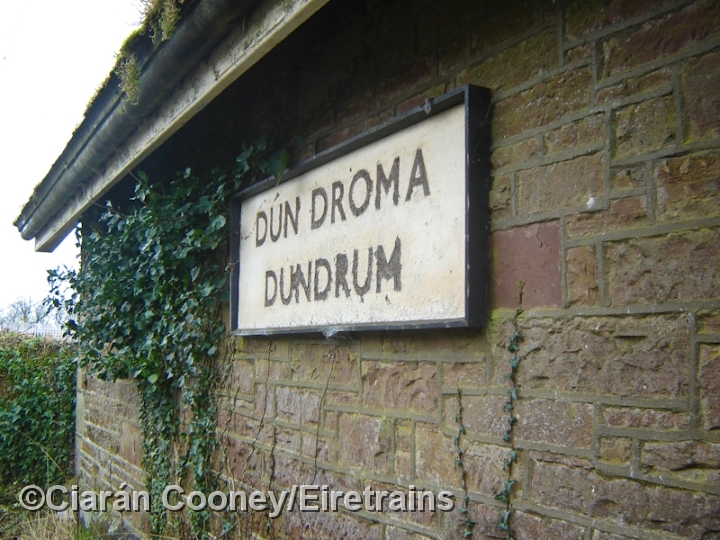 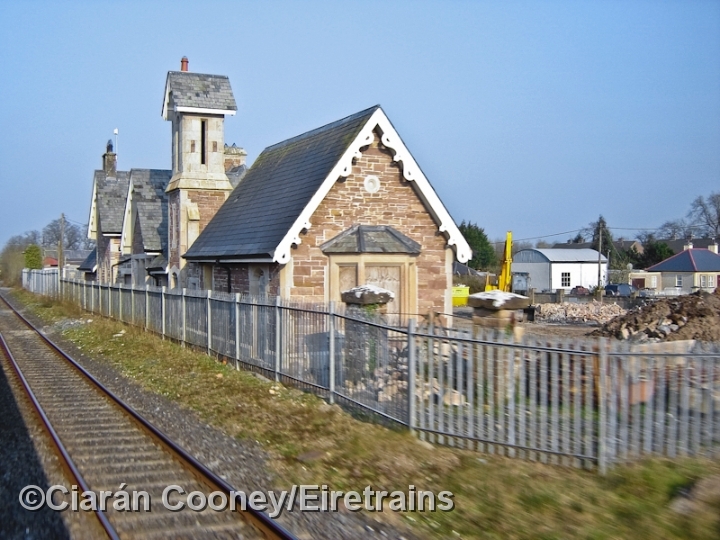 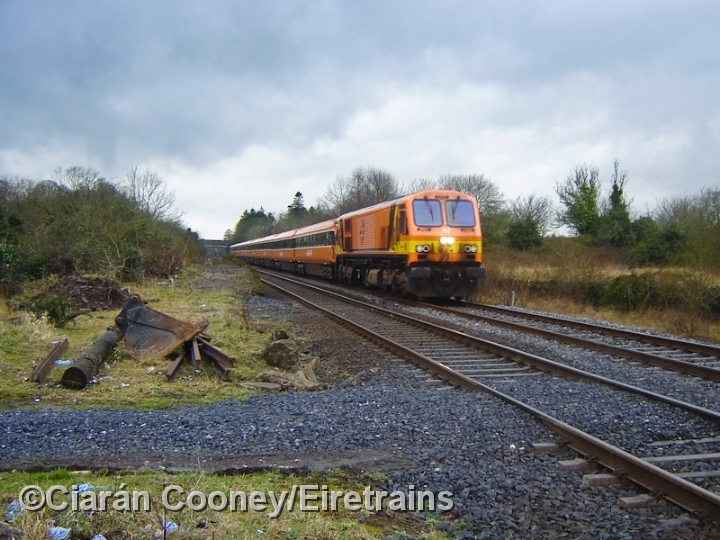 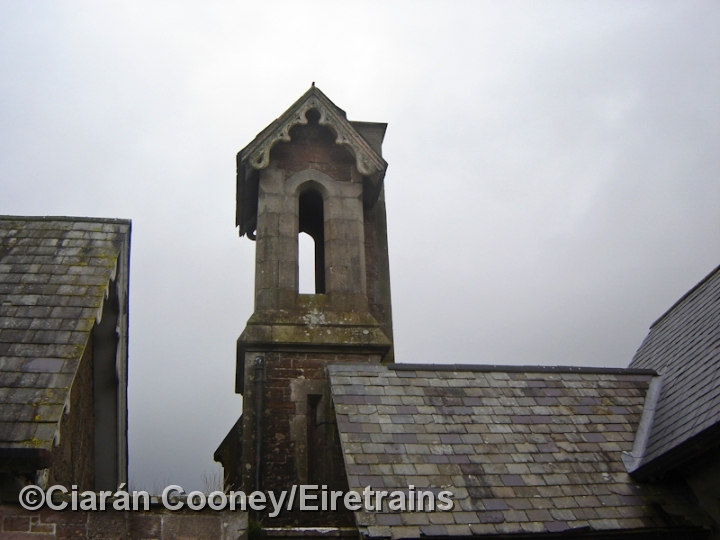 Dundrum in Co.Tipperary, on the main Dublin to Cork line, was opened in 1846 by the Great Southern & Western Railway. 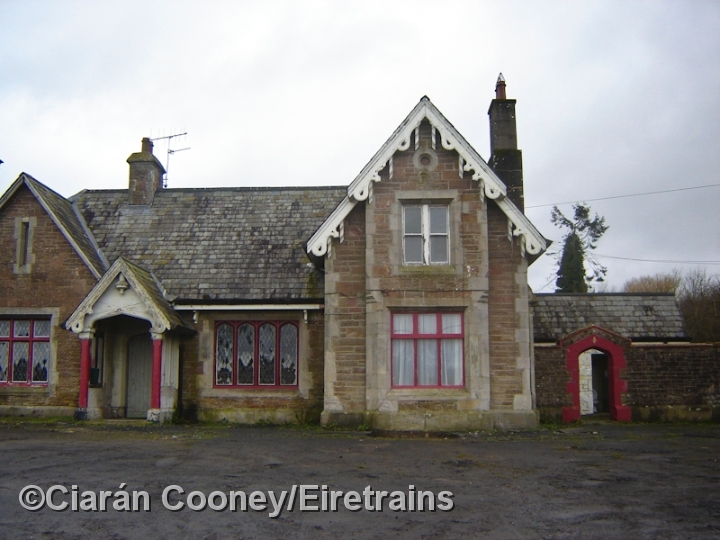 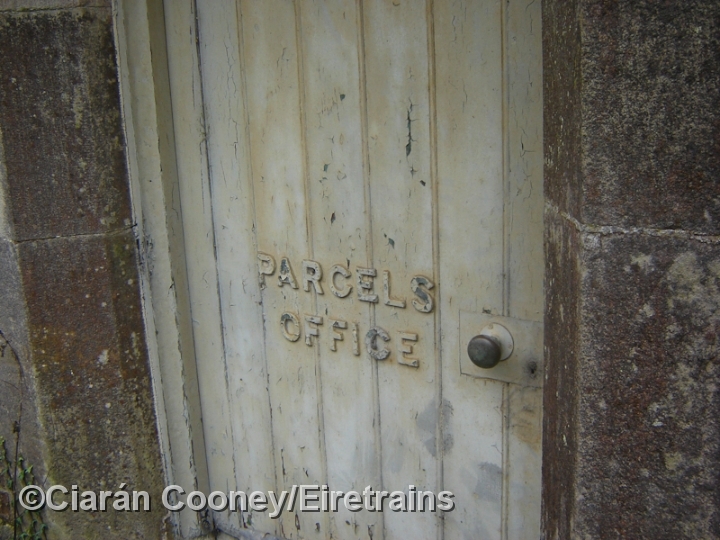 The station lost its passenger service in 1976, one of several small stations to do so on the Cork main line at the time. 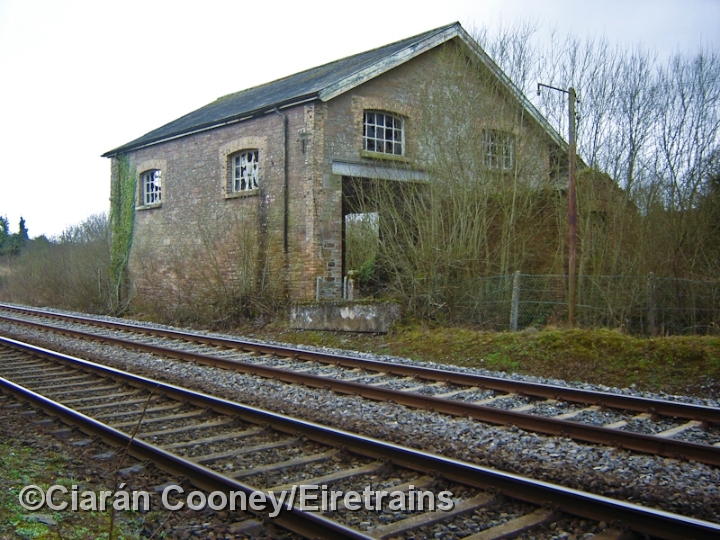 The station however remained as a block post, retaining its signal cabin and sidings. 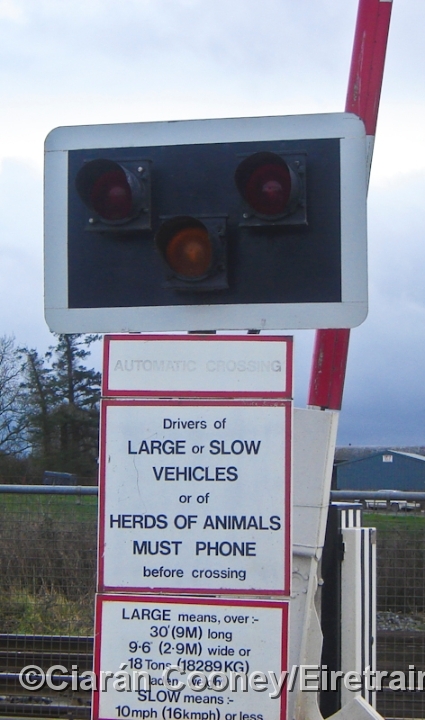 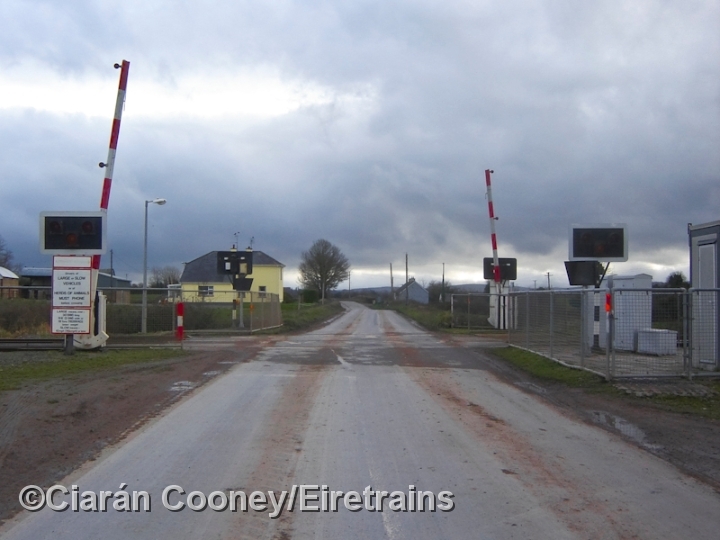 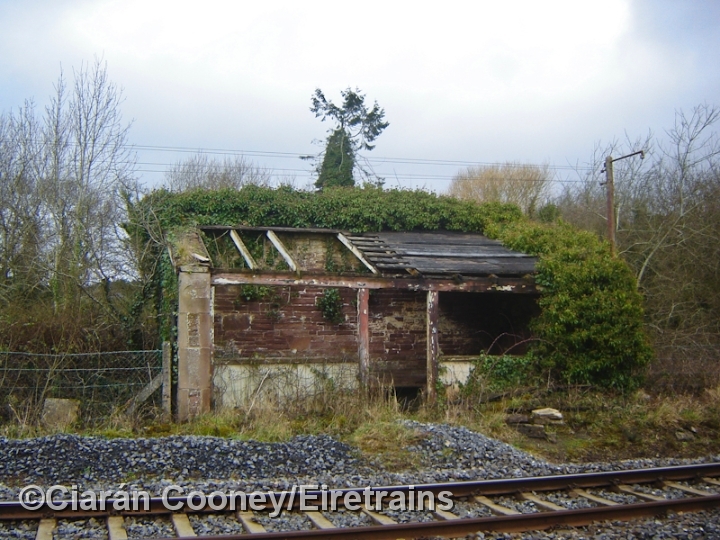 With the extension of CTC to Limerick Jct in 1986, the signal cabin closed and the station was much rationalised, which involved the demolition of the platforms and fencing off of the track. 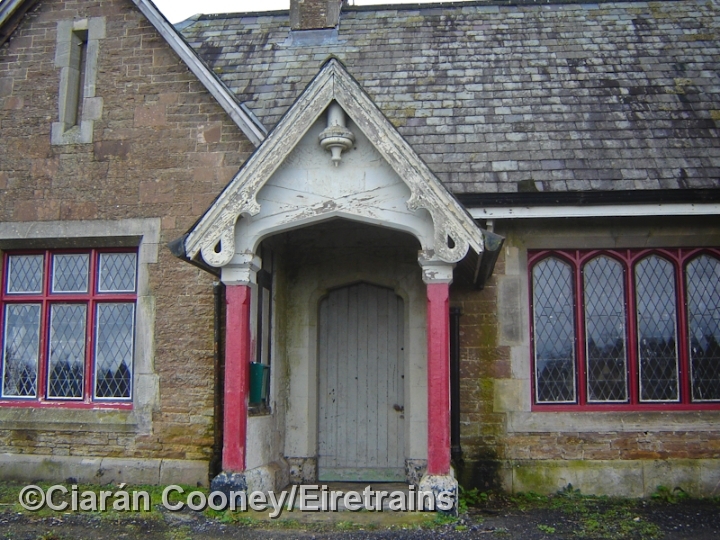 The station buildings however remain and they are a fine example of typical GSWR architecture, and appear to retain their original gable boards and porch canopy. 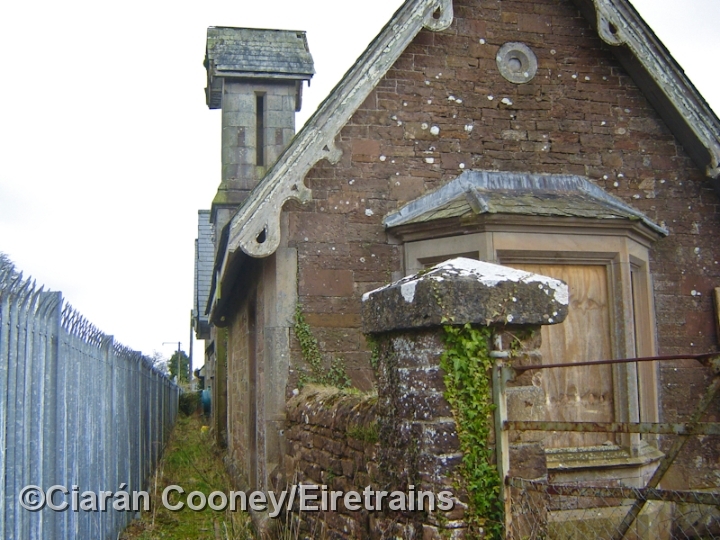 The station building has since been renovated and restored, but the up buildings, such as the goods shed and waiting room, remain derelict.